Based on the memoir by First Lieutenant Mike Scotti as well as video footage shot by him and other members of 1st Battalion, 4th Marines on the outset of the 2003 invasion of Iraq. Directed by Kristian Fraga (“Anytown, USA”) and featuring a original score by Cliff Martinez (“Traffic”, “Narc”, “Solaris”) the film offers an unflinching look at the uncertainty, disorder and chaos of war from the remarkable perspective of one Marine. There has always been films made about one war or another and since 9/11 we have seen a number of films based on the Iraq war but none of those will effect you like Severe Clear. What this documentary does that none of the others before it did was that this shows the battlefield from those on the ground, in this case the Marines and First Lieutenant Mike Scotti along with the 1st Battalion. A shocking look at what it is really like in the time of war, forget all the media coverage you seen on television or the speeches from the Politicians that no doubt sugar-coat their reports. This is the real deal about what it is really like and it shows the personal side of war and what it does to the soldiers that are on the ground both mentally and psychically. 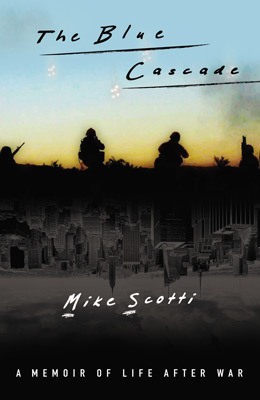 Lieutenant Mike Scotti does a terrific job showing us the inside of his world, you feel his pain, fear and his anger over the events of 9/11 but you also feel his regret with seeing innocent people being killed in battle but as sad as it might be it is one of the harsh realities of being in a war zone. 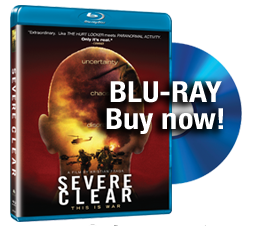 Severe Clear lets you the audience decide for yourself on what war means and it shows you the frightening reality that comes with it, there is no covering the facts, it exposes the fact that the soldiers have weapons that don’t work right half the time and e get to see the story of the little girl who was killed when her father refused to stop at a check point, those are the times when these soldiers begin to question why they are there but then they remember that tragic day in September which helps them fight another day. I already had respect for all men and women serving in the military but this just increased that 10-fold, these are all brave human beings that put their life on the line every minute of the day in a land where no one can be trusted and everyone seems to be your enemy. Scotti’s footage is in-your-face from showing the scenes of battle to showing the death toll after wards, beware some of the scenes might be tough to watch for those with a weak stomach. When Scotti was sent home he was left with mixed feelings over the war from the lack of WMD to the innocent people that perished in the war, those are feelings that don’t go away over-night and I am not sure how Scotti feels today about it all but I can say he was one of many brave soldiers that laid their lives on the line to keep us safe and for that I thank him. I also want to thank him for opening the eyes of the public on what being a part of the Iraq war was and still is like. I don’t feel right saying Severe Clear is entertaining but I can say it is thought-provoking and emotional on every level possible and a must-see film. At the end of the film I couldn’t help but feel for all the men and women involved in the war and as far as Lieutenant Mike Scotti goes I said an extra prayer for him in hopes he came to terms with it all and is doing well in his life today. I thank him and everyone else involved in making this film and finally giving us all a real look at the horrors of war.